Insurance Companies in Ireland Need to Focus on CX or Prepare to Face the Guillotine. Posted on October 20, 2015 at 2:18 pm. Ireland’s insurance sector’s poor Customer Experience (CX) results are due to a number of factors. Continuous steep rises in insurance premiums have angered the Irish consumer, particularly around renewal quotes. The sectors continued focus on acquisition at the peril of retention gives it one of the highest churn rates. Marketing’s focus remains on price with little time spent on delivering high quality CX and there is no excuse for not offering it! 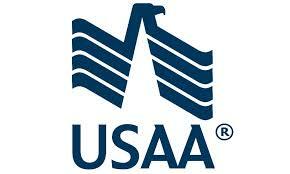 The highest CX scorer on the planet is USAA (See below). This insurance and banking giant for the US army is breaking CX scoring records because of their integrity and high empathy scores. CEXi’s Irish Customer Experience report revealed that the Irish Insurance sector scored 10% lower on average when compared to all other business sectors. It scored the worst in NPS – 18% lower than the top performing sector. Out of the fourteen insurance companies represented in the survey only two, Laya Healthcare and Aviva made it into the top 100. The CEO and ‘C-suite’ team must be engaged in the CX process to ensure you do not get into silo arguments which have no respect for the customers interests needs. The Insurance industry should consider customising their experiences by age segments, just as the UK are successfully doing. Specialist insurance companies have been able to drive significant profit by cherry picking the market. For example, Saga is focusing on the 50+ age group and has been able to create a highly personalised experience for them. Insurance products are very similar and in recent years Ireland has seen the majority of insurance companies promote themselves on value alone. Using CX as a key message can create brand differentiation. The insurance sector as a whole need to manage their expectations better. There is a huge problem with over promising and under delivering to customers and this has created trust issues. If the insurance sector wants to get back on the customers side then their communications need to be clear and honest. If they take an over the fence, neighbourly and conversational approach to their comms then we should see a large climb in integrity next year. The RAC have personalised their customer experience with help from NewVoiceMedia. RAC provides customer services, such as product and test-drive information, to consumers with new car warranties on behalf of car manufacturers and have been able to offer their customer base a great personalised experience. The company now benefits from access to a customer’s entire history of interactions from one screen and real-time reporting and analytics, offering visibility of contact volumes, advisor performance and customer experience – enabling RAC to improve business processes and the performance of individual advisors. Its regular mystery shopper programme reveals that customer satisfaction has reached 93% .RAC ensures all calls are answered within 20 seconds. They have also boosted First Call Resolution to 80% and reduced call abandonment rates – from 7% in 2013 to less than 3% in 2014. With 8 million military members and their families as their customer base, USAA demonstrate empathy by understanding how their customers feel. A large proportion of USAA employees are ex-military, and if they’ve not served in the military, training is steeped in military experience, from dining on “meals ready to eat,” to receiving a bona fide deployment letter to make them really think about the financial decisions their customers face and what it is like to be in their customers’ shoes. USAA also achieve record scores for acting with integrity, considering the customer’s needs before the company’s profits: USAA shared that “we practice down selling; ensuring the customer only gets exactly what they need”. As the number 1 brand in 2015 for CX excellence, USAA are heralded as customer experience champions. Across each of the 6 pillars, USAA do something extraordinary. Their commitment to their customers is second to none and it clearly shows. 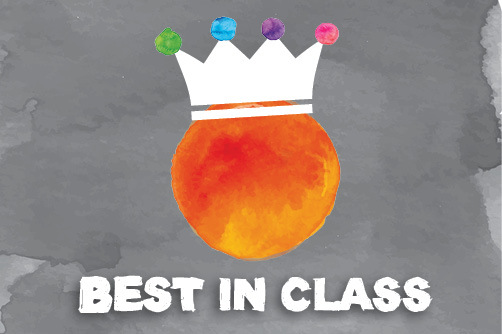 This is recognised in the scores they achieved in four pillars: Expectations, Integrity, resolution, and empathy. USAA are world leaders in CX excellence and living proof that a financial company can use CX to be successful. Looking at what they have done over the years means there is no excuse for the Irish insurance sector to treat their customer base the way they have. What Dialogue Can Do For You? Dialogue are Europe’s first customer experience design agency and are founders of CEXi.org, which launched Ireland’s first CX league table in Sept 2015. Dialogue recognises that most clients are buried under customer insight and we can take that insight and turn it into a great Customer Experience. Dialogue will design and deliver remarkable CX that will differentiate your brand and get your customers to sell on your behalf. See www.dialogue.ie for more info.